Titanium frame, 157 kg (328 lbs). 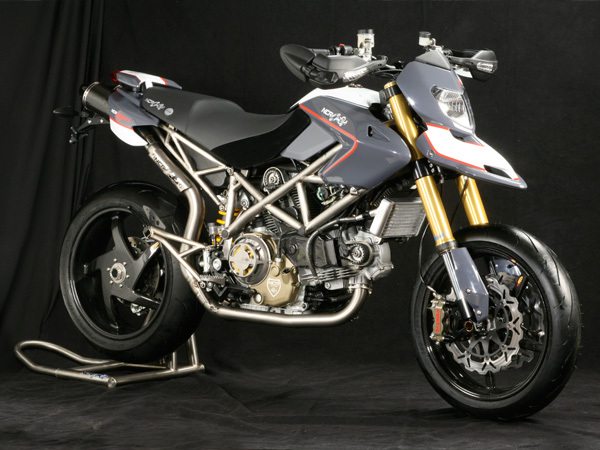 Starting from the Ducati Hypermotard concept bike, NCR introduces it's first street! 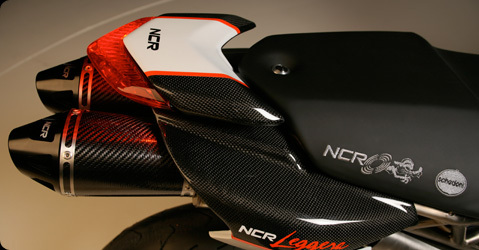 By using it's racing and technology knowledge, NCR has worked every aspect and component of the design to make a difference on the track and street. 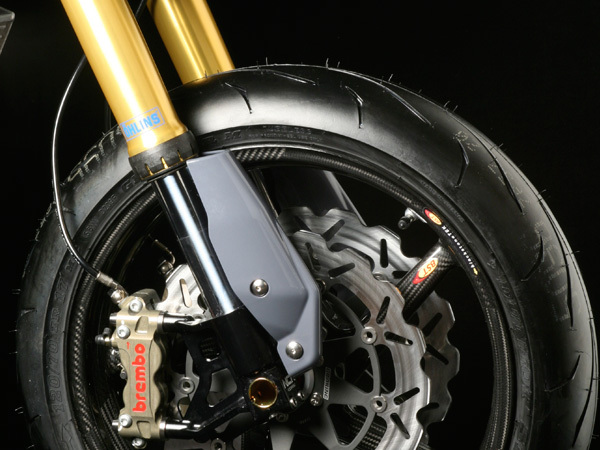 Attention to detail is important at NCR and was fundamental in developing it's first street legal motorcycle. Of course every NCR motorcycle is totally built by hand and built with the ultimate passion to deliver a jewel to the customer. - Main frame and sub-frame built with Grade 9 titanium. The main frame weighs only 4.8 kg (10.6 lbs) and the sub-frame weighs only 1.5 kg (3.3 lbs). 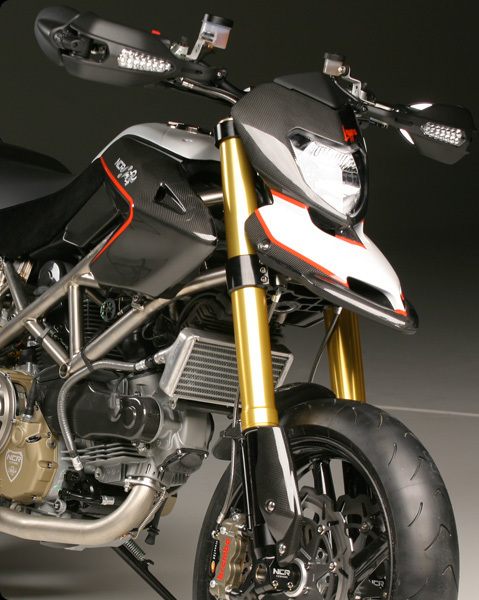 - The exclusive suspension components were developed in close collaboration with Ohlins in order to deliver highly functional and adjustable components. 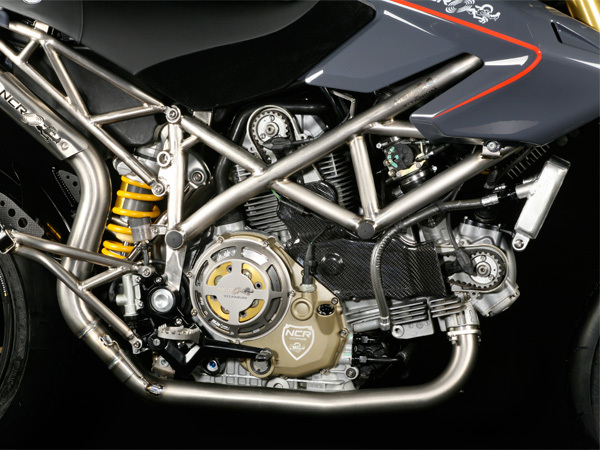 This attention to detail results in a street legal motorcycle that is hyperLIGHT, hyperFUN and hyperCOMPETITIVE. Now imagine more NCR magic with the new NCR Corse 1200cc race engine with 132 hp and further driving down the weight to 135 kg (297 lbs). How is that for exclusivity and passion?